“The music of Mendelssohn” – Source. 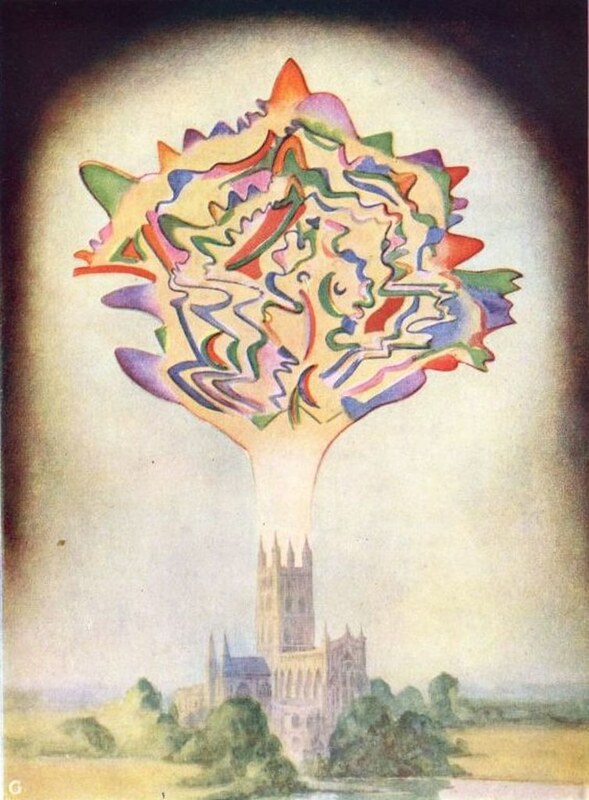 Thought-Forms, a strange, beguiling, frequently pretentious, utterly original book first published in 1901, emerged from this ferment of late-Victorian mysticism. 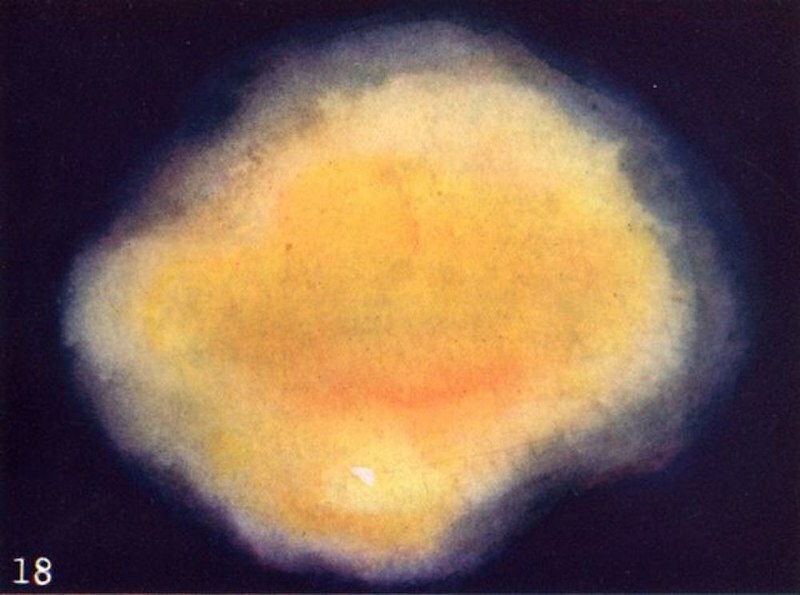 It was written by Annie Besant and Charles Leadbeater, erstwhile members of the London Theosophical Society alongside Yeats, and it features a stunning sequence of images that illustrate the book’s central argument: emotions, sounds, ideas and events manifest as visual auras. The book’s grand ambitions are evident from the first page. “To paint in earth’s dull colours the forms clothed in the living light of other worlds,” Besant laments, “is a hard and thankless task.” She insists that the images in the book “are not imaginary forms, prepared as some dreamer thinks that they ought to appear.” Rather, “they are representations of forms actually observed as thrown off by ordinary men and women.” And she hopes that they will make the reader “realise the nature and power of his thoughts, acting as a stimulus to the noble, a curb on the base.” This grandiloquence was typical: fin de siècle occult leaders produced some of the most baroque writing in literary history, the purplest of purple prose. Yet what are we saying, exactly, when we call black words on a white page “purple”? These sorts of underlying associations between words, colors and sounds were precisely what motivated Thought-Forms. In other words, the book was about synesthesia. 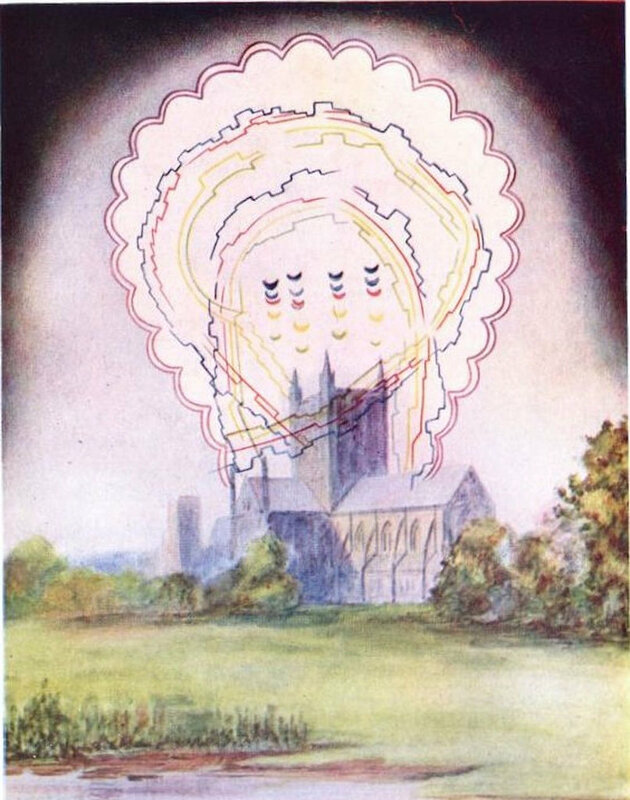 The illustration of the music of Mendelssohn reproduced above, for instance, depicts yellow, red, blue and green lines rising out of a church. This, Leadbeater and Besant explain, “signifies the movement of one of the parts of the melody, the four moving approximately together denoting the treble, alto, tenor and bass respectively.” Moreover, “the scalloped edging surrounding the whole is the result of various flourishes and arpeggios, and the floating crescents in the centre represent isolated or staccato chords.” Color and sound had become commingled. “The music of Gounod” – Source. 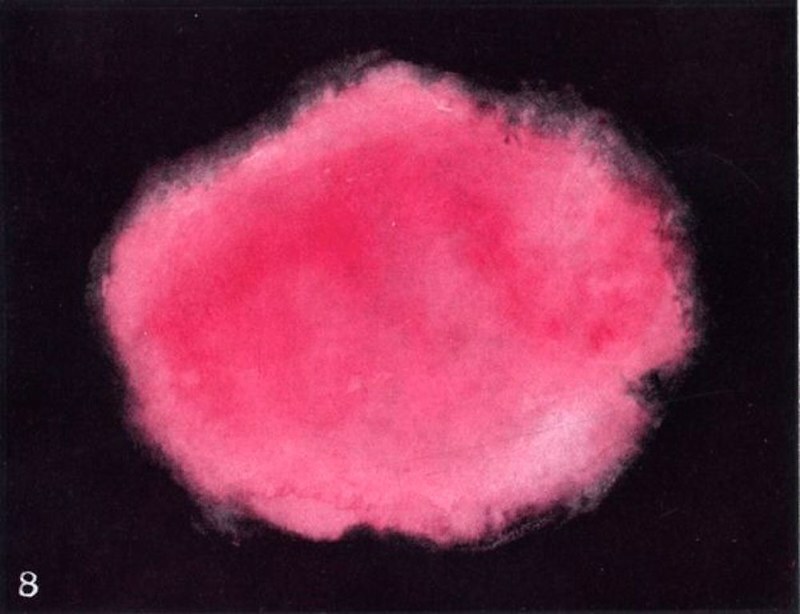 Yet Leadbeater and Besant intended not only to visualize sound, but to demonstrate their distinctive psychic gifts: the ability to detect spiritual “vibrations” of ideas, emotions and sounds as visual forms. This, in other words, was a sort of spiritual synesthesia, as much a religious act as a neurological one. Besant and Leadbeater were not romantically linked, but they were nonetheless a power couple in the world of British secret societies and occult orders. Leadbeater had originally been ordained as a priest in the Church of England, but he developed an intense fascination with Buddhism and Hinduism following travels in Burma and Sri Lanka with Henry Steel Olcott in 1885. He grew convinced that he possessed powerful psychic abilities and became a disciple of Madame Blavatsky (later immortalized as Madame Sesostris in T.S. Eliot’s The Wasteland). Following Blavatsky’s death, Leadbeater met Annie Besant, a women’s rights activist and socialist orator, and the two struck up an unorthodox partnership. By the 1890s they had emerged as the leaders of the preeminent theosophist group in London. In an 1892 pamphlet, Besant summarized theosophy’s core principles. Mankind was “a spiritual intelligence… treading a vast cycle of human experience, born and reborn on earth millennium after millennium, evolving slowly into the ideal man.” It must be said: theosophy was bunk. It combined social Darwinism and echoes of Neo-Raphaelite romanticism with a kind of Westernized, mashed-together Buddhist and Hindu thought, then topped it with a dash of High Church ceremony and a healthy heaping of obfuscatory verbiage. The result, more often than not, was pompous, pseudoscientific nonsense. But, in the case of Thought-Forms, what wonderful pseudoscientific nonsense it was. 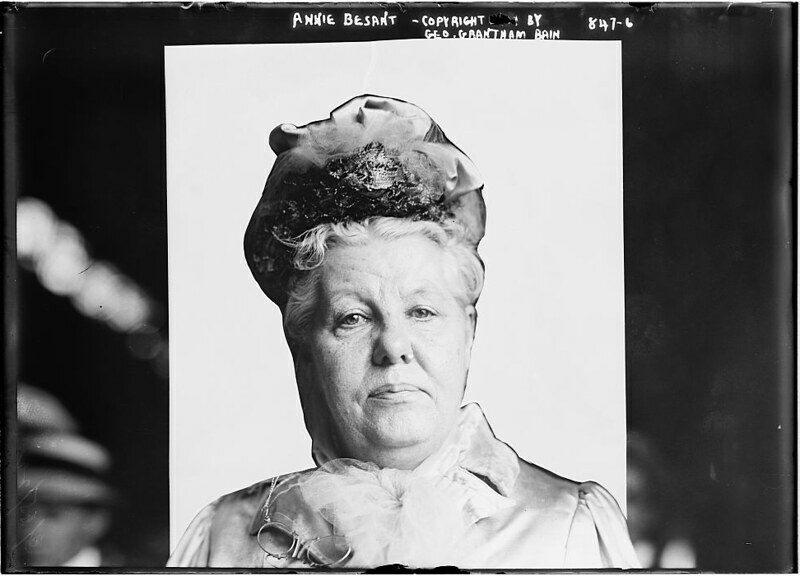 Photograph of Annie Besant taken in 1900, a year before the publication of Thought-Forms – Source. 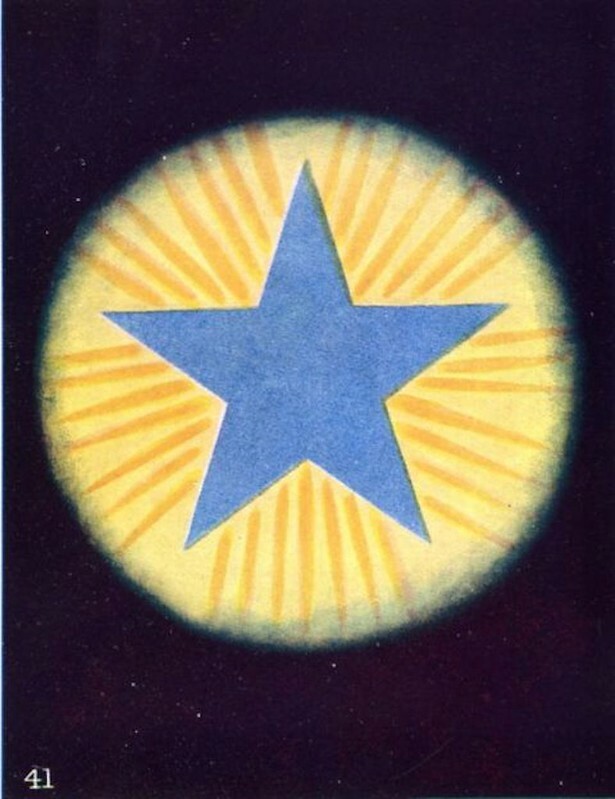 Colors stood at the core of theosophy as practiced by Madame Blavatsky and Anne Besant, and indeed it has played an understudied role in the whole arc of Western occultism. In his 1704 book Opticks, Newton’s arbitrary division of the spectrum into seven colors (ROYGBIV) resulted in the quasi-color indigo, whose questionable differentiation from blue befuddles schoolchildren to this day. This was not the act of Newton the scientist, but Newton the alchemist: he had been guided toward the number seven by the seven musical notes and the seven planets, not by scientific necessity. Color, in other words, dominated the theosophist vision of both the distant human past and the post-human future. And color is the biggest takeaway from Thought-Forms. While the prose is baroque, clumsy and hard to follow, the visuals that accompany it are simply enchanting, suffused with mellow blues, misty purples, and brilliant ochres and oranges. “Vague Intellectual Pleasure” – Source. With the thirtieth illustration, the book changes course in an interesting way, moving from illustrations of discrete thoughts and emotions to quasi-narratives about events. “At a Shipwreck” – Source. they are instructive as showing how differently people are affected by sudden and serious danger. One form shows nothing but an eruption of the livid grey of fear, rising out of a basis of utter selfishness: and unfortunately there were many such as this. The shattered appearance of the thought-form shows the violence and completeness of the explosion, which in turn indicates that the whole soul of that person was possessed with blind, frantic terror, and that the overpowering sense of personal danger excluded for the time every higher feeling. This ushers in the visual heart of the book, featuring images that wouldn’t have looked out of place hanging alongside early Malevich or Kandinsky abstractions. 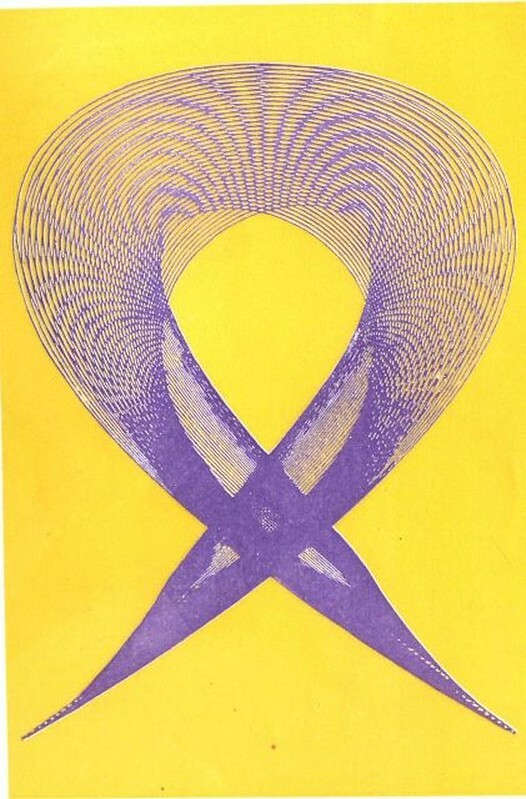 “The Logos as Manifested in Man” – Source. Other thought-forms in this section anticipate another twentieth-century craft that was still in its infancy in 1901: corporate branding. Figure 41 is meant to represent “the Logos as manifested in man” but it looks like another sort of logos entirely: one can easily reimagine it as an early oil company badge, competing with the likes of Esso, British Petroleum and Royal Dutch Shell to lure drivers of horseless carriages off darkened roads and toward glowing gas pumps. Besant and Leadbeater were quite aware that this was heady stuff for a society that remained deeply conservative. On New Year’s Day in 1901, the year Thought-Forms was published, Queen Victoria still ruled England. Oscar Wilde had died a broken man five weeks before. The British Empire was still expanding. “Modernism” as a movement or even a concept did not exist. When we consider this world of 1901, it becomes difficult not to believe that Besant, Leadbeater and their milieu deserve a more prominent place in the annals of both abstract art and the history of modernism. 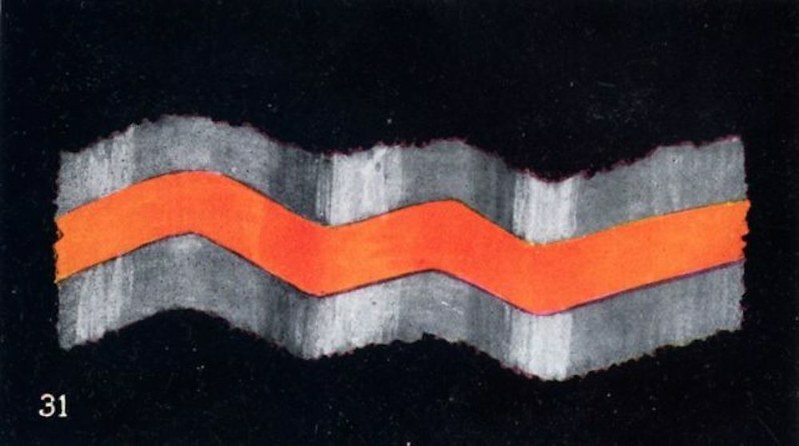 As the art critic Hilton Kramer has observed, “what is particularly striking about the outlook of the artists primarily responsible for creating abstraction is their espousal of occult doctrine.” Kramer points to the period between 1910 and 1920 as the key moment — as it undoubtedly was, given the confluence of World War One, the Dadaists, and technological changes celebrated by the Italian Futurists. But perhaps we should look backward as well, to the twilight of the Victorians, in tracing these origins. 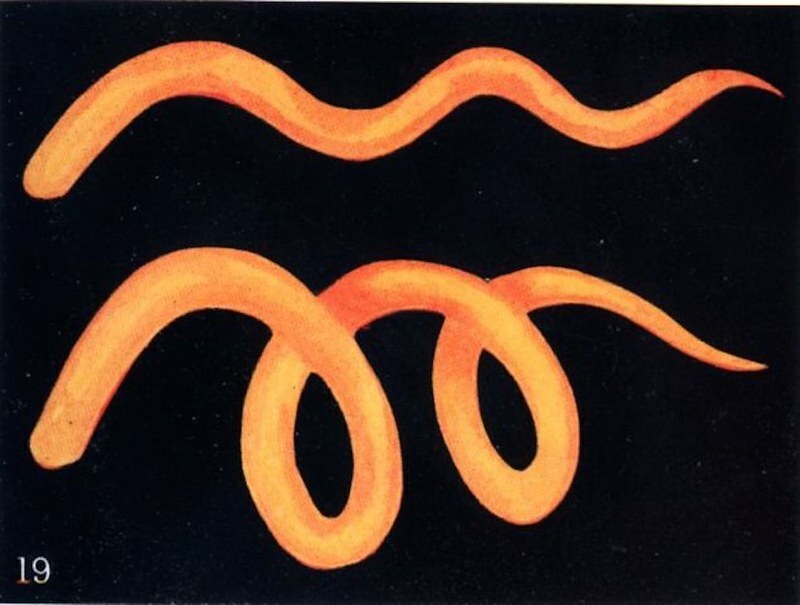 It actually isn’t at all surprising that figures like Yeats and T. S. Eliot — not to mention Malevich, Kandinsky, and Mondrian — dabbled with theosophy. It was, as Kramer notes, “a widely established component of Western cultural life” in the first decades of the twentieth century. But where did it go? Casting a wider net in the shadowy realms of fin de siècle mysticism offers up some surprising answers. Jack Parsons, one of the founders of the Jet Propulsion Lab at Caltech and an early pioneer of rocketry, counted himself as an adept of Alesteir Crowley — and so too, at one time, did Scientology founder L. Ron Hubbard. Robert Openheimer famously quoted Vedic scripture (“Now I am become death, destroyer of worlds”) when he witnessed the first atomic bomb blast. But in the context of figures like Besant and Leadbeater, Oppenheimer’s fascination with Eastern mysticism seems less like a personal quirk and more like a thread in a larger tapestry: an interweaving of mysticism, technology, and art that began at the turn of the last century and is still with us in the twenty-first. Yeats imagined a looming “revolt of the soul against the intellect.” In truth, Victorian mysticism never took over the world. But it also didn’t go away. One strand wove into the history of science and technology; another became the New Age Movement; another is emerging in the techno-utopian transhumanists of Silicon Valley, who (seemingly unwittingly) borrow themes and aims from theosophy. It’s hard to say where it all will take us. But it seems fair to say that Besant and Leadbeater played a small but intriguing role in shaping the globalized culture of the twenty-first century, which weaves together East and West, mysticism and rationalism, sound and sight. The result is a maelstrom of competing influences and aims that even a seasoned synesthete would struggle to make sense of. But it’s worth our while to try. Benjamin Breen is a PhD candidate at the University of Texas at Austin. He is executive editor of The Appendix, a journal of experimental and narrative history, and is writing a book about the history of drugs in the 17th and 18th centuries. A version of this article will appear in The Appendix’s upcoming issue. You can subscribe to The Appendix here. 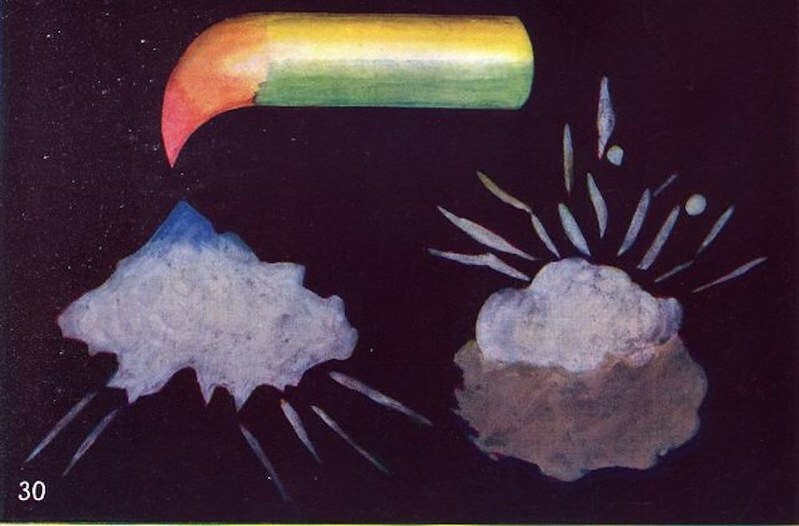 Thought-Forms (1901) by Annie Besant and Charles Leadbeater (with full color illustrations). The Secret Doctrine (1888) by H.P. Blatavsky. 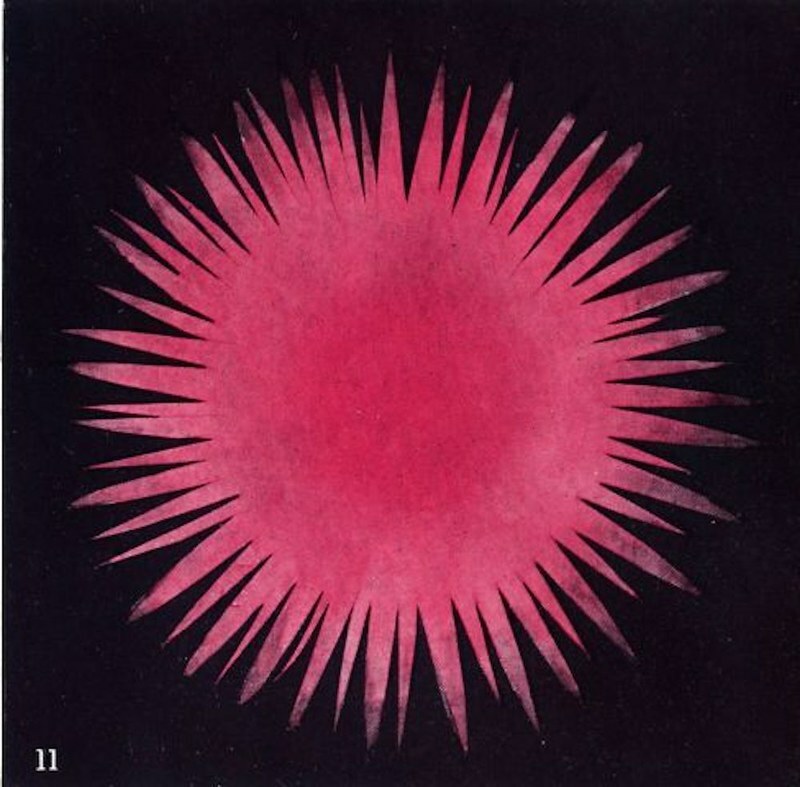 Occult Chemistry; clairvoyant observations on the chemical elements (1919) by Annie Besant and Charles Leadbeater.